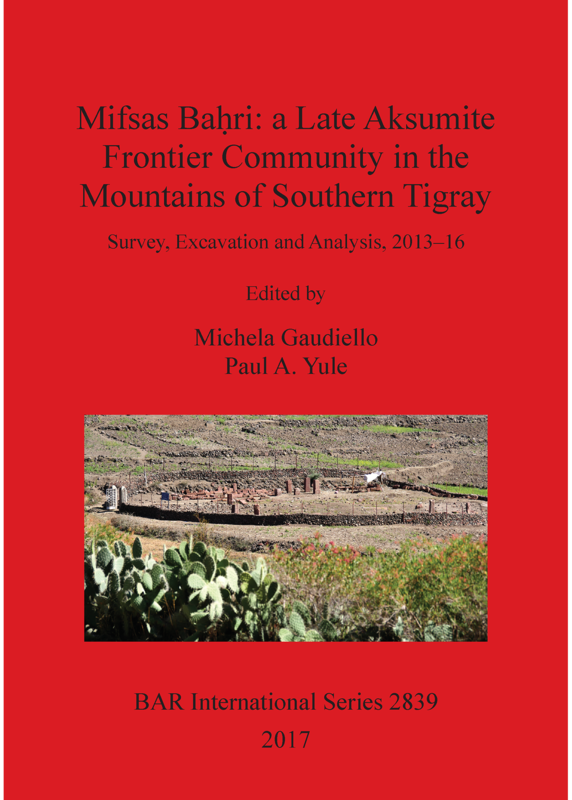 This book describes the broad network of studies which were involved in three years of archaeological research in the southern Tigray (Ethiopia), at the Mifsas Baḥri site. The uniqueness of this work lies in the subject of our research and in the final results. Mifsas Baḥri is the southernmost Late Aksumite (c. 550‒c. 700 CE) site known in Tigray, the ruins of which dominate the amazing landscape of Lake Ḥashenge. The data collected from the excavation, survey, pottery and anthropological analysis, historical and linguistic researches contribute to the knowledge of a region of southern Tigray during the so-called Ethiopian dark age. This book offers to the scientific community and to scholars involved in the Ethiopian studies new, convincing results and information regarding a region and a period hitherto unknown in the history of ancient Ethiopia. Michela Gaudiello is an Italian archaeologist specialised in Ethiopian pottery, mostly in the area of pre-Aksumite ceramics. She worked for several years as a ceramic expert on Italian and Canadian expeditions in the northern Tigray before starting the project in Mifsas Baḥri. She is now involved in projects in Oman. Paul Yule is professor at Heidelberg University and is a well-known scholar in the archaeological community. Through the years, his work has taken him to Yemen, Iran, India, UAE and Oman. He is now involved in projects related to the Late Iron Age in Oman. Mifsas Baḥri represents his first experience in Ethiopia.